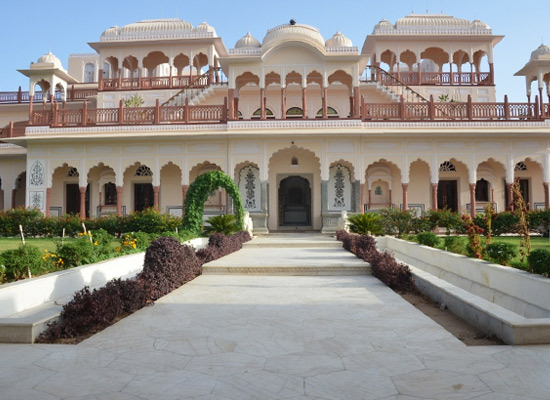 "An exquisite example of Indo-Saracenic architecture, Shahpura Haveli in the heritage city of Rajasthan; Jaipur, offers a living experience that underlines contemporary luxury and royal hospitality as its prime essence. Over the years of its existence, the haveli has been a perfect abode to a number of royalties, travelers, celebrities and artists. 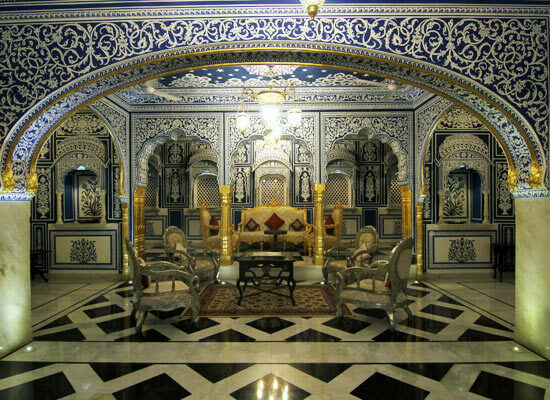 Shahpura Haveli in Jaipur was constructed 300 years ago. Over the course of some decades; in early 18th century, the fortified palace underwent meticulous transformation under the able guidance of Rao Bishan Singh Ji. 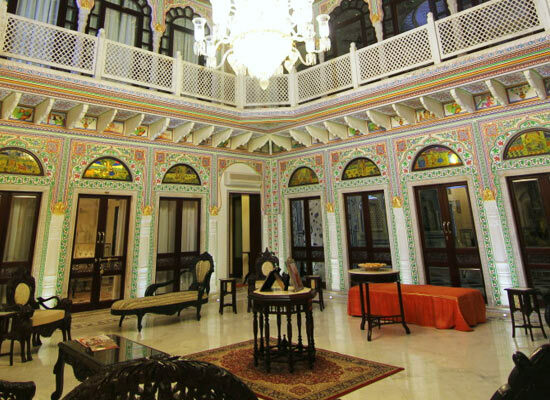 Owing to which, the structure which only held a residential status of the Rajputs, was then restored in to a grandeur which the haveli today boasts of. Shahpura Haveli underwent further renovation and expansion when the descending ruler Rao Pratap Singh Ji presided over the crown. It resulted in certain additions, which today also are renowned as the hand-painted Darbar hall, the spectacular hall of mirrors and the florid. 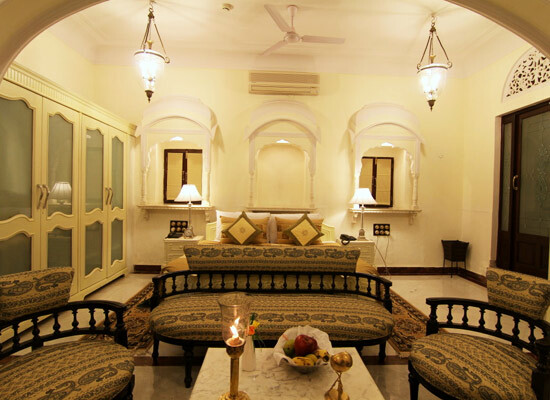 Restructuring the parameters of comfort, Shahpura Haveli with its 5 luxurious accommodations offers unique experiences of Rajput style of living. All the accommodations are designed and furnished in the best standards of luxury. 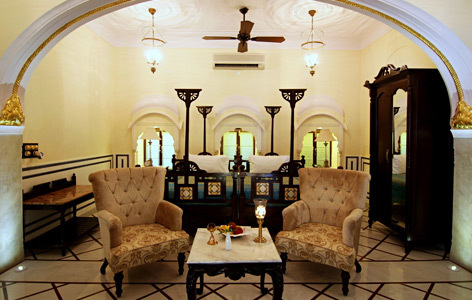 Poster-beds with delicate fabric, exquisitely decorated lounges, en-suite bathrooms and private courtyard, these are some of the delights that define the elegance of the accommodations at Shahpura Haveli. When it comes to dining, the Haveli offers a treat to all the senses. 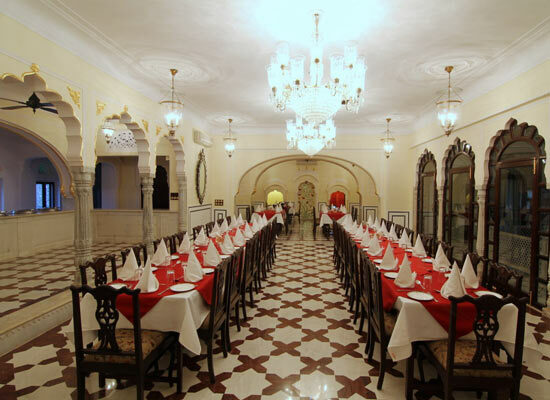 It has two in-built restaurants built in its premises that specializes in royal Rajasthan cuisines. Along with Rajasthani, guests can also savor Asian as well as European delicacies. The staff makes sure that every dining moment gets that pampered treatment. As a part of this courtesy, guests are also served a romantic-lit dinner with premium cocktails in the open surroundings of the garden and the terrace. Post dinner one can always relish the best handpicked wines for the palace hotel is well equipped with an extensive wine cellar. Situated around 260 km from New Delhi, Jaipur is the capital city of Rajasthan. The region is famed as the Pink city of India and is counted amongst the top tourist destinations in the country. Amer Fort, Jantar Mantar, Nahargarh Fort, Jaigarh Fort, Jal Mahal, Hawa Mahal and City Palace are some of the popular attractions in the city to look out for.